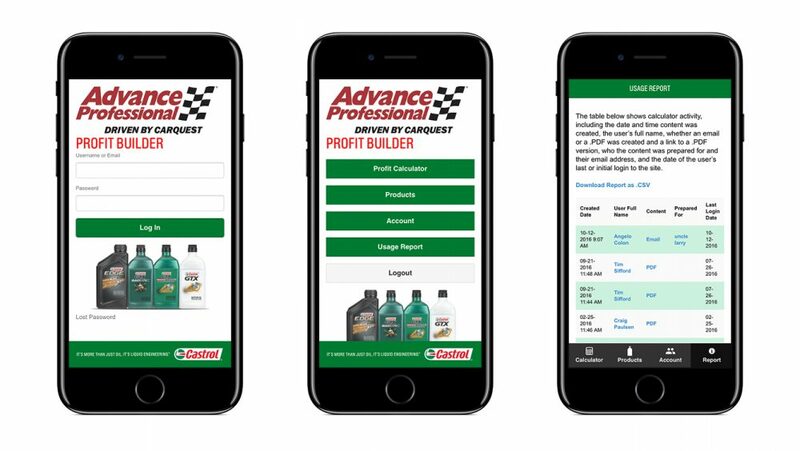 We created a calculation web app for Advance Auto to help sell Castrol Products. 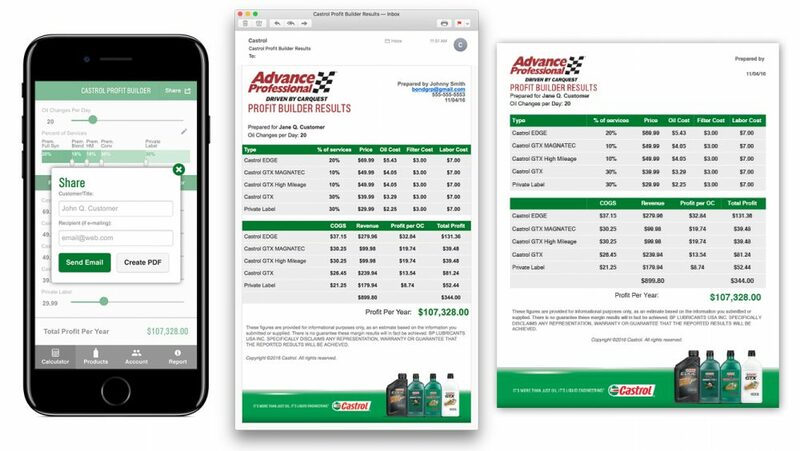 The Advance Auto calculator easily calculates a profit margin based on changes in premium product mix with numerous depending on the price and mix of products sold. The app uses slider bars to greatly minimize tedious input of data. Once the user has completed the calculations, a simple PDF or email presentation can be generated from the phone or iPad at the touch of a button. 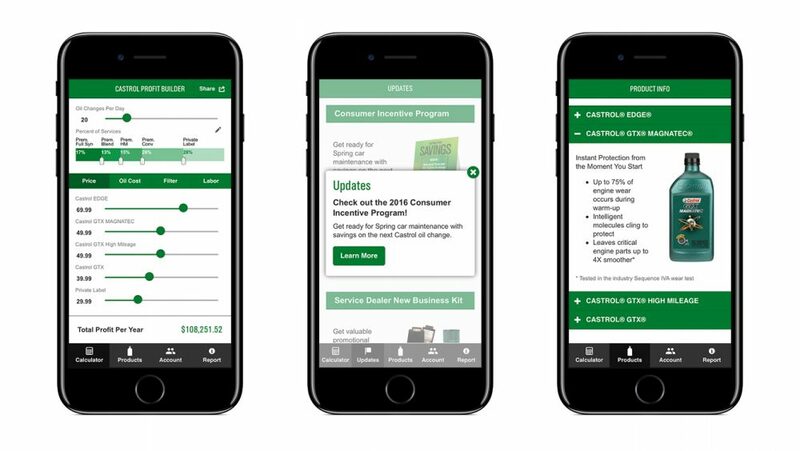 Custom notifications, report usage and product information are additional sections that receive latest content every time the app is opened.